Bunyip-based Ampulla Lodge has been having excellent success of late from their graduate yearlings with a city double on the weekend, and a brilliant result on the Coast at the Magic Millions. Now they are looking to continue the great run at the Inglis Premier sale later in the month. Specialising in pin hooking weanlings, all selected by Ampulla Lodge’s Steve and Ceri Jostlear, their yearlings are reared to perfection at their farm in West Gippsland and proudly offered at the top sales across the country. Still happy to be celebrating the 7th best pin hook from the Magic Millions this January amongst a competitive group of 110 yearlings, the Jostlear’s were thrilled to see the colt turn the heads of the right buyers. “It was a good day at the office, as we purchased the Charm Spirit x Enchanted Melody colt for $55,000 and sold him for $250,000. He looked like an early runner, perfectly suited to the market,” Steve said. With two city winners in two days for Ampulla, their pin hook graduates include Ingeegoodbe’s solid win at Eagle Farm for Robert Heathcote. 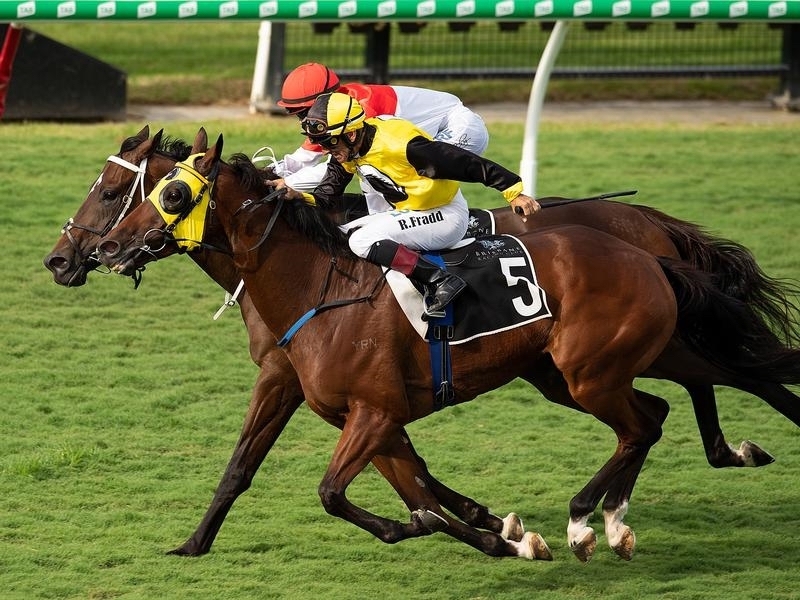 With eight wins, he has now amassed over $300,00 in prize money, while the son of Canford Cliffs, Chalk was an impressive winner at Canterbury bringing up a tally of three wins & over $150,000. “It’s great when our return buyers come back, and they trust our horses. One of our loyal buyers, had a friend looking to buy a yearling on the Coast, and he quickly said, “go to Ampulla and buy anyone you want.” It’s great when they have that kind of confidence and faith in us as vendors,” Steve said. 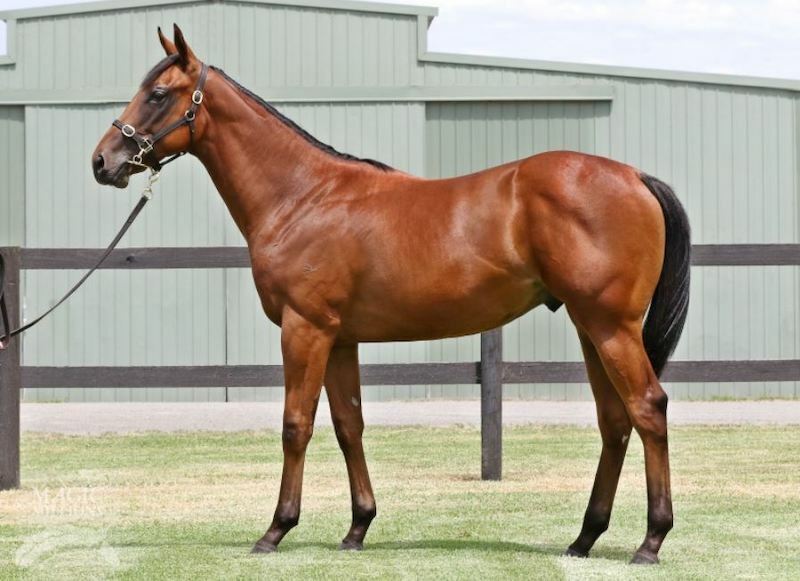 Looking at the eight-strong draft heading off to Premier later this month, Steve had highlighted some of their Victorian-sired standout colts. “One way you can pick the easy horses, is that the staff are always happy to lead them – they are the favourites in the barn,” Steve said.